Where video game preservation is concerned, things have not been easy. We’ve seen titles get lost forever, because the official servers were shut down. Whole games have been bought and horded by collectors for years. Heck, we’ve lost thousands due to company issues in general. Like a company going out of business. Or a license being lost before the release date. 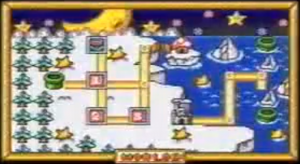 And unfortunately, this gets even worse where the Satellaview is concerned. Indeed, not only was the service itself never operated outside of Japan, but the games were broadcast over a matter of weeks on rewritable tapes, meaning that many older episodes were lost forever the minute a newer one was released. It’s why the earlier parts of BS Super Mario Collection was lost. People played them, sure. But then they got overwritten when a new broadcast came out. So while it covered Super Mario Bros 1 and 3, only the latter was saved for future preservation. 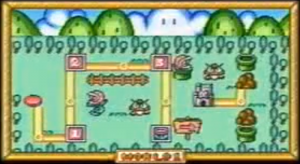 Above: Losing these beautiful Super Mario Bros 1 overworld graphics in the process. But the same won’t happen to the new Kirby games found today. Why? 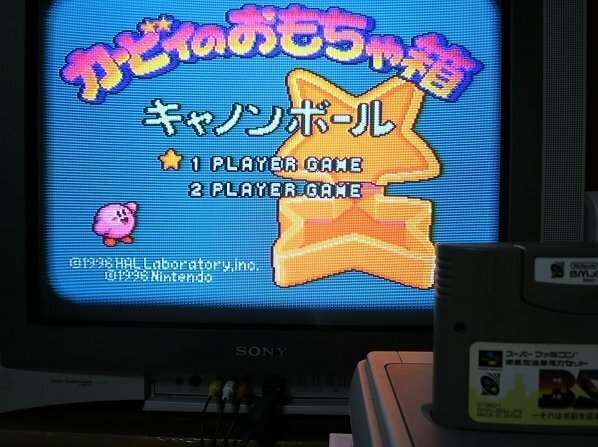 Because thanks to video game preservationists, the four Kirby mini games (from a title called ‘Kirby no Omocha Hako) were purchased at auction for a total price of $813.08 USD. Which in turn got him the money for the games. So thanks to one lucky find and a well timed Twitter message, four unique Kirby games were saved forever. But what exactly are they? What are these Kirby games like anyway? These are named Kirby no Omochabako – Arrange Ball and Kirby no Omachabako – Pachinko respectively. It in turn was named Kirby no Omochabako – Battle Ball respectively. And there’s also another one. Named Kirby no Omochabako – Circular Ball, nothing much is known about it in general. There are no videos online. No pictures on gaming websites. Few bits of information in text form. Basically, until the game gets released as ROM, no one really knows how it’ll turn out to work. Either way, they’re preserved now. And so thanks to the preservationists involved, the games are now playable by future generations. Let’s hope the other Nintendo Satellaview games can go the same way!